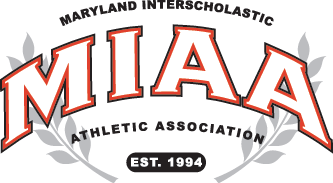 Top-ranked McDonogh School has ventured into overtime four times this year, including in Tuesday’s MIAA A Conference lacrosse showdown with No. 2 Boys’ Latin School, and for the fourth consecutive time the Eagles emerged victorious. Sophomore Andrew Hurdle buried his second goal of the contest, with just 28.2 seconds left in the second overtime period. Hurdle was fed the ball on the left flank by Jack Simmons and he whipped a laser past BL keeper Jack Pezzulla to hand the Eagles, ranked No. 3 nationally by Inside Lacrosse, the sudden victory. McDonogh (14-1 overall, 7-0 MIAA A), the last remaining unbeaten team in the A Conference, staged a furious fourth quarter rally to force the overtime. Trailing 7-3 at the start of the final quarter, Jason Sarro scored back-to-back goals, both assisted by Jackson Morrill to start the rally. Jack Parr followed by completing a hat-trick and then he assisted Barrett Sutley as the Eagles completed their 4-goal blitz to tie the contest with 7 minutes, 28 seconds to play in regulation. Boys’ Latin (11-3, 6-1 MIAA A) gathered itself and regained some momentum by scoring consecutive unassisted goals by Logan Wisnauskas and Basil Aburn as the Lakers went back on top, 9-7, with 5:06 to go. The battle continued and the Eagles got back within one, 23 seconds later, with an extra-man goal by Morrill, assisted by Sutley. Then, with 1:14 left in the fourth quarter Simmons stepped into a blistering over-hand thrust that roared into the goal to square the game at 9-9. Both teams had a couple of possessions in the first overtime, but each defense dominated the action. In the second overtime, Boys’ Latin nearly won the game when Luke Shilling’s shot smacked off the crossbar. The loose ball slapped around as both squads battle for control and it ended up behind the Laker net in the far right corner of the field. With bodies flying in every direction, the Eagles eventually dug out the loose ball and moved it into the offensive end and called time out to setup what would be the winning goal. Hilgartner also discussed the Eagles’ success in overtime, which includes a 4-overtime victory, 2 double-overtime thrillers and one win that needed just a single overtime. The early part of the game also featured runs by both teams. The Lakers owned the first quarter as Jake Abel won all four face-offs and the Lakers dominated possession in building a 3-0 lead. Matt Brandau had 2 goals and an assist in the quarter and Shiling had a goal and an assist. McDonogh got back into the game in the second quarter as Parr and and Hurdle got the Eagles on the board with back-to-back scores, before Wisnauskas scored for BL with 6.4 seconds to play in the half, giving the Lakers a 4-2 advantage at intermission. Early in the third quarter, Parr, with an assist from Morrill, cut the Laker lead back to one, but Boys’ Latin went back on the offensive, getting back-to-back goals from Shilling and another goal from Brandau to seemingly seize control of the contest with a 7-3 advantage at the end of three quarters. With two games to play, McDonogh has locked up one of the top two seeds for the playoffs and will advance to the semifinals at Johns Hopkins University’s Homewood Field on May 16. The Eagles can also clinch the top overall seed with one more win. Brandau and Shilling led the Lakers with 3 goals and 1 assist each and Wisnauskas scored a pair. Parr’s 3 goals led the Eagles, while Hurdle and Sarro had two scores each and Morrill finished with a game-high 3 assists. Both goalkeepers were sensational at times, with BL’s Jack Pezzulla stopping 11 shots and McDonogh senior Sean Lanier recording 9 saves. Boys’ Latin, ranked 7th nationally by Inside Lacrosse, also remains in great shape to get a top two seed. Lakers coach Brian Farrell said the loss was just a learning experience that will help his squad when the playoffs arrive. GOALS: BL-M. Brandau 3, Shilling 3, Wisnauskas 2, Aburn 1; McD-Parr 3, Hurdle 2, Sarro 2, Sutley 1, Morrill 1, Simmons 1. ASSISTS: BL-M. Brandau 1, Shilling 1, Aburn 1; McD-Morrill 3, Sarro 1, Parr 1, Simmons 1, Sutley 1. SAVES: BL-Pezzulla 11; McD-Lanier 9.